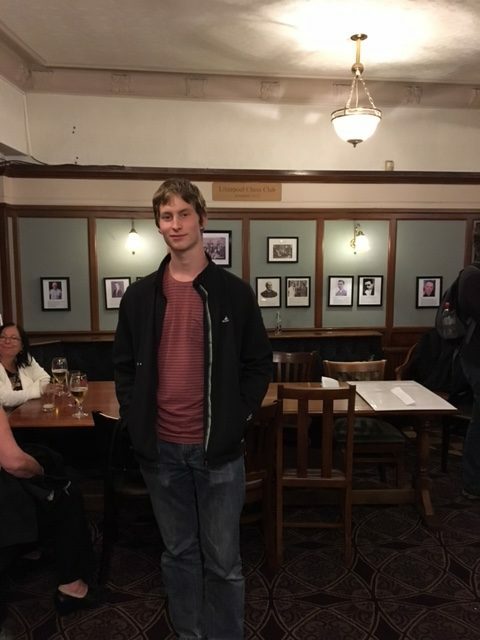 Jakob played at Liverpool Chess club for a few months in spring/summer 2017 and was a visitor every week during this time taking part in club competitions. We are sorry to lose him when he goes off on his next adventure to Uganda. Hope to see you again in the club in the future?